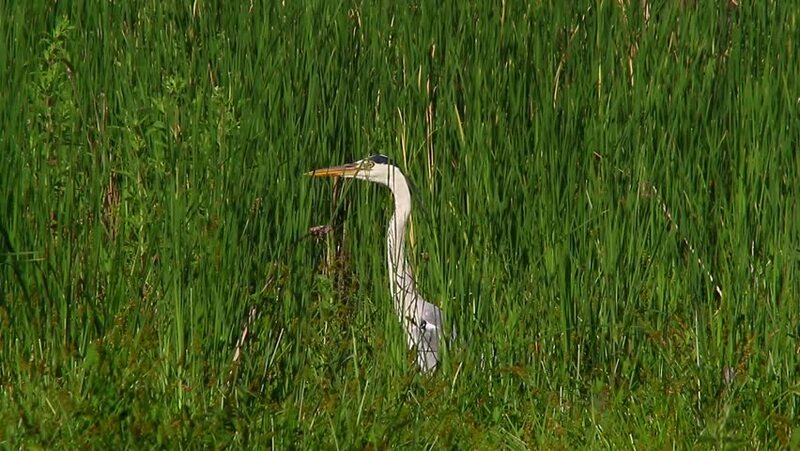 hd00:19Great Blue Heron walking through tall wetlands grasses in slow motion. hd00:10 A snake tries to free itself from the beak of a heron. hd01:47Gopher watching out from a rural summer field. hd00:12A Canada Goose stands tall in a meadow.